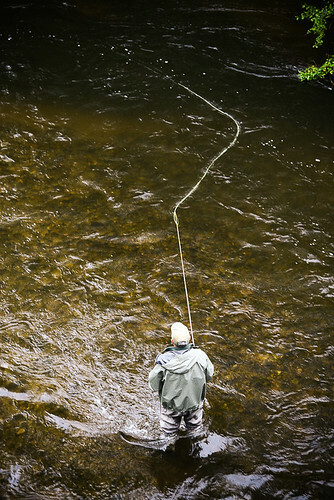 A good upstream mend counteracts the effects of faster currents between you and your fly. 1. Mend as soon as the fly touches down. Once the line settles on the water, it bonds to the water’s surface. If you try to move the line after it has bonded, you will create tension on the line that might drag your fly underwater. 5. Mend with authority. A half-hearted mend rarely moves enough line. You’ll probably over-mend the first few times—accidentally throwing your fly upstream with the line—but with some practice, you’ll learn just how much power is needed to move the line you want to move without disturbing the fly.